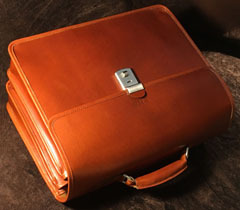 Custom Hide has been proudly producing fine leather briefcases and backpacks in USA for over 20 years . 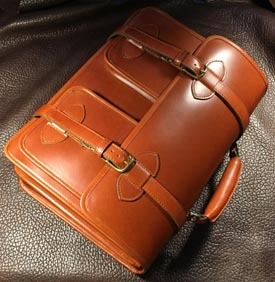 All our products are made to order in our US factory, using full-grain leather hides, solid brass hardware and full-grain glove leather linings. Our entire collection is backed by our lifetime warranty and is available only at customhide.com. Besides offering various custom options that can be easily implemented to our products on our Website, we also work closely with our customers to modify/customize our products in any imaginable way . Instead of having you settle down for a briefcase or a backpack where all the details are preset, we offer a refreshing option of a custom-made one that will fit your personal needs. This briefcase may be the single best purchase in years. The quality and materials are unmatched, the price cannot be beat anywhere and the service and communication by Tony sets the standard for any business. Having sourced from Custom Hide's "competitors" in the past, there is no other company that I would recommend for custom leather. Thank you Tony for your exquisite products. 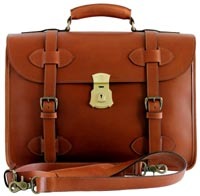 This is a beautiful briefcase, elegantly designed and extremely professional in appearance. Despite its sleek looks, however, the high-quality leather is extremely tough. I've worried about tearing and rips with some other leather goods, but not this briefcase -it's as tough and durable as a saddle. 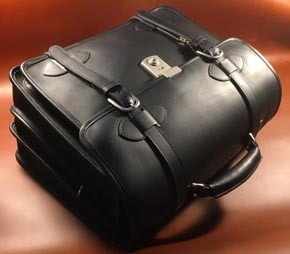 I don't anticipate having to buy another briefcase for a long, long time - but if I do, or if I buy one as a gift for someone, I will absolutely come to Custom Hide before looking anywhere else. Wonderful customer service, too! My special thanks also to Custom Hide for sending it , in the prescribed date of my arrival in New York. I just wanted to take a few moments to let you know how well your product is holding up. It appears that most of the testimonials you get are from people who have just received their brand new bag and are, like I was, instantly smitten. This testimonial is different. I have had my three-compartment Scholar bag for approximately ten years now. It has traveled with me as carry-on luggage, literally all over the world and has been subjected to abusive field conditions that even a ballistic nylon bag would shrink from. It is still in as fine a shape as the day I received it, and if anything, is even more beautiful. The leather finish has taken on the burnished patina that only long use can provide. (I frequently get stopped in airports and asked where I got the “beautiful antique” bag.) The seams are as tight as the day they were stitched, the handle and straps, (which have borne far more weight than they were probably designed for), are still as sturdy as ever and show no signs of needing to use the lifetime warranty. You all should take extreme pride in the quality of your craftsmanship, a rare commodity in today’s world of cheaply made, throwaway products. I truly believe that this bag is an heirloom that I will pass on to one of my sons....but hopefully not for a long time. So, if any prospective customers that are reading this and are hesitating about ordering because they think that the beauty of these bags is only skin deep, rest assured. You will not regret your purchase. Just checking in—a couple weeks ago I received the briefcase via UPS, and it is BEAUTIFUL! Thank you for your outstanding craftsmanship (you may quote me if you like). The delays were entirely worth it—and I am especially grateful for the chance to add the luggage strap to the order at the last minute. 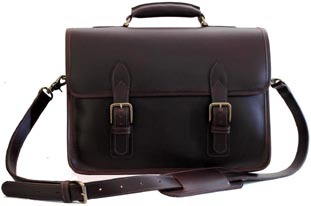 (208) 816-1380 (c)My Scholar briefcase with custom 1945-style handle arrived today. It is beautiful. It is perfect. It is amazing. Thank you for providing a level of honest service and hand craftsmanship that seems to have all but vanished in today's disposable world. The price truly seems unbelievably low considering what you have created. I am and will continue to be a vocal fan of Custom Hide. This to let you know that my order 8315 of a US army style brief case arrived safely at last this morning. It was well worth the wait and I would recommend this product highly to anyone needing or wanting a case with this specification. It seems a beautiful product, equally smart and very functional for my needs. Thank you for putting up with my correspondence over the last few weeks. 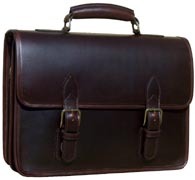 I received the Barrister Laptop briefcase today. It is truly a fine piece of craftsmanship and I am most proud of it having received a very nice compliment on it within one hour of having it. Also, I am very impressed with the quality of the work of the interior. 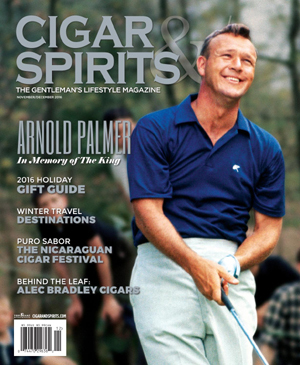 It is certainly much more than I expected and am most pleased with the product. Thank you all again for your attention to the detail and overall professionalism in your product. I do think your products represent the best of what American craftsmanship has to offer. I purchased my 1945 US Army briefcase 2 years ago in preparation for my promotion to a new (for me) position in national security. I received a lot a compliments from colleagues on the aesthetics of the briefcase. But, when I told them it was a reproduction of the classified courier bags soldiers used in the '40s I got a lot of rolling of the eyes. That was the case until our team had occasion to visit NSA HQ at Ft. Meade recently where a photo (circa 1943) was displayed that prominently featured an Army officer carrying my briefcase. Thanks for that. I received my briefcase on May 15th. It was packaged securely and well. The briefcases construction has easily exceeded my expectations. It is well stitched, sturdily built, has a nice supple feel, and is simply beautiful! I will be proud to carry this briefcase around and show it to my friends. Yes, the wait was long, but with the briefcase in my hand - it was well worth it! I'll be ordering a backpack later this year. Keep up the good work, and thanks for making these good things in America! My son was just commissioned as a officer in the U S ARMY and graduated from Western University, Illinois. I got him the replica of the 1945 US Army briefcase, and a U S flag that had been flown from the Capitol building in Washington, DC. Both will serve him well until he retires. I have to say that I am SO PLEASED with my purchase from Custom Hide. Your product is truly a masterpiece of skillful precision and quality. I would never really consider myself one to submit something like this, but I have to tell you that the absolute beauty of my Scholar Laptop bag must be praised. Thank you so much for the unique attention to detail and for your skillful craftsmanship. The bag is incredibly sturdy and tough, but it also has a sophistication and beauty about it that can only be found in American craftsmanship. I love my briefcase so much that, in fact, I ordered a backpack last week and can't wait to receive it for graduate school. Keep up the good work. 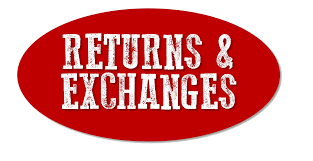 I will certainly recommend you to others, and I look forward to doing business with your company for years to come. Copyright © 1997-2018 customhide.com. All rights reserved.